Jennylyn Mercado threw a surprise birthday bash for Dennis Trillo at her home a day before the actor's actual birthday which is May 12. 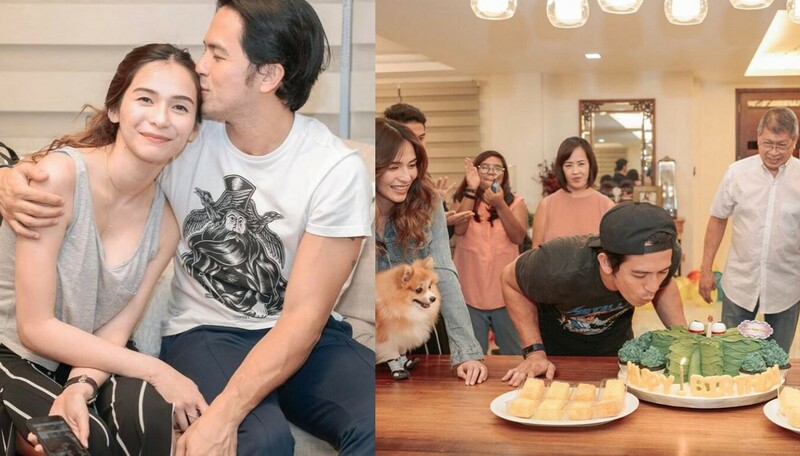 The intimate event was attended by Dennis' family and Jennylyn's family. Here are some photos from the party captured by Nice Print Photography. Here is the official lyric video of 'It Takes Love', the official soundtrack of GMA Network's newest romantic comedy 'Love You Two' performed by the Ultimate Star herself Jennylyn Mercado. Don't miss the world premiere of 'Love You Two' this April 22 on GMA Telebabad. WATCH: Guess Who's the New Face of Seoul Skin?